Improvisation is something that can be quite daunting for newcomers. Given a blank page, where does anyone start? What should they do? It can be a huge challenge and, at the outset, we need guidance. Of course some launch into the process fearlessly, but either way, improvisation is an important foundation for confidence building, creativity and freedom of expression. In short, we’re turning a negative ‘nothing’, into a very positive ‘anything’, and learning that music is both rewarding and inclusive. Two of our team were teaching a KS2 group recently. It was the children’s first lesson of the term. 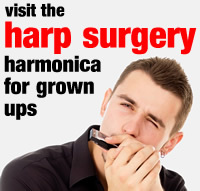 The first HA teacher started a simple chug, or riff, on his 10 hole harmonica, while the second HA teacher punctuated this pattern with two simple chords, or vamps..